There are serval ways to tie a tie, but for many it’s sufficent to have it done somehow. However, once you understand a few simple rules, you can choose the tie knot according to the occasion you’re going to attend and by the style of the tie and of the collar. It has been counted that there are 85 different ways to tie a tie! In this post we are going to focus on four methods, that can surely come in handy in many situations. In one of the next posts more information on the subject, with further instructions! If you are looking for simple and immediate ways to tie a tie, this knot might be it. It’s very popular all over the world and its easy and fast to do. The knot results small, narrow and asymmetric, and it looks the best with a shirt with small and /or classic collars and it’s especially suitable for skinny ties, but still can be made on the larger ones too. Also known as Shelby knot, it was invented by Jerry Pratt, who used it many years before Don Shelby made it famous by wearing it on live TV. This is a particular method to tie a tie, since the tie is inside out around the neck. The pratt knot is medium sized, and suitable for all occasions and all types of ties and shirts. Compared to Four-In-Hand it’s more symmetric. This knot became famous in the ’30s when Edward, Duke of Windsor, started to make use of it frequently. Among the many ways to tie a tie, the one that leads to the creation of a Windsor knot is used only for special occasions. This is a large, symmetric and triangular knot, that looks particularly good with cut-away collars, which leave a wider space for the tie. To realize this knot 8 different steps are needed, therefore use of a long tie is requered. The size of this knot is between the simple and the Windsor knot. The shape is a bit squared and slightly asymmetrical. 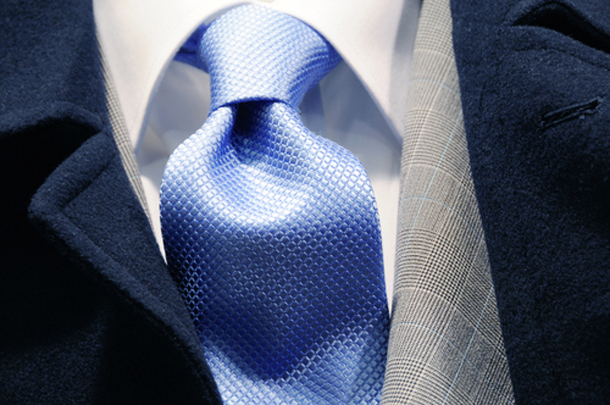 The Half-Windsor knot can be worn with many different collars and various types of ties. It goes well in any occasions even though it’s considered to be especially suitable for special ones. Superb blog you have here but I was curious about if you knew of any community forums that cover the same topics discussed here? I’d really like to be a part of online community where I can get responses from other knowledgeable individuals that share the same interest. If you have any recommendations, please let me know. Thank you!